Youth who are remanded to detention are required to attend school. The New York City Department of Juvenile Justice (DJJ) believes that education is essential to helping young people lead productive lives. 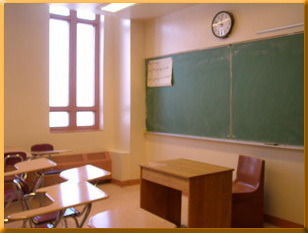 School begins shortly after a youth is placed in the Department's care. Among the range of services offered, the New York City Department of Education operates Passages Academy, a full time educational program that tailors its curriculum to the needs of youth in detention. Passages Academy opened in September 1998, in partnership with DJJ. The academy is open during the regular Education Departments school year, as well as for summer school. The school's philosophy is to provide small group learning in a heterogeneous environment. Students attend one of four sites at the Academy, depending on whether or not they are placed in Secure or Non-Secure Detention (NSD). 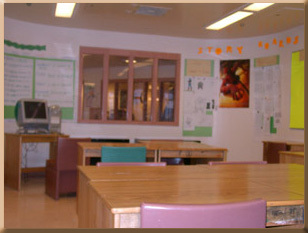 A fully-staffed school is located within each of DJJ's three Secure Detention facilities. A separate site is maintained by the Department of Education for students in Non-Secure Detention. The first step is a comprehensive assessment of a youth's educational skills. Students are assessed according to the STAR program, which is a computerized test of each student's reading and math skills. The resulting data is used to place youth in classes that will best meet their academic needs and learning styles. Passages has tailored the traditional high school curriculum to the functional level of the students . The average Passages Academy student is below grade level in reading and math and may require special education. Residents who have a reading level lower than the fourth grade are placed in literacy classess, where the focus is on development of basic reading and writing skills. Students who are not placed in a literacy class or who are not eligible for the GED class are placed in academic classes to earn high school credit. The instructional program is designed to effectively adapt teaching to each student's learning styles. Lessons are based on four activities within each period, allowing students to build self-esteem through success. Instruction is provided in all major academic subjects, including computer and technology education, and physical and health education. English studies focus on literacy and literature, while social studies classes focus on global history and constitional law. Students receive high school credit on their transcripts for their work. A comprehensive special education program, including an academic skills class, speech and language services, and psychological counseling, is provided to students with special needs. A full complement of social workers, guidance counselors, and a psychologist provide students with either group or individual counseling.